Teyana Taylor is a recording artist (singer, songwriter, rapper), choreographer/dancer and actress born and raised in Harlem, NY. 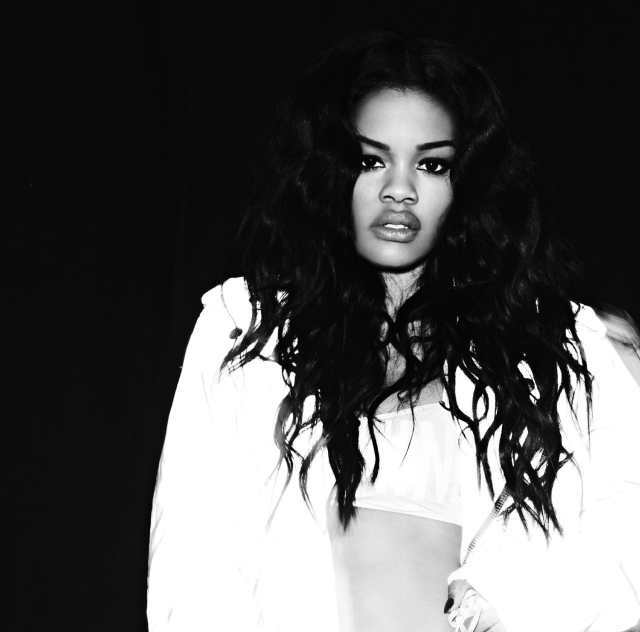 Teyana collaborated on the choreography of Beyoncé's hit Ring the Alarm which set the stage for her television debut on MTV's "My Super Sweet 16" in 2007. Signed to Star Trak/Interscope at the age of 15 and her debut single Google Me was released in February 2008. Other television appearances include MTV’S Made, ABC’S Limelight, & House of Glam on Oxygen. Kanye West sought the opportunity to collaborate with Teyana on his new album, My Beautiful Dark Twisted Fantasy asking her to sing on the first track Dark Fantasy and the mastered version of Hell of a Life &Runaway. Teyana was also featured in Kanye’s Christmas in Harlem. Teyana brought her sassy style to the big screen in the film Stomp the Yard 2 opposite Columbus Short and Keith David. She most recently wrapped Madea's Big Happy Family for Lionsgate written and directed by Tyler Perry in which she stars.